The Tour Schedule for April 27 – Check out this blog today and enter to win the tour giveaway. 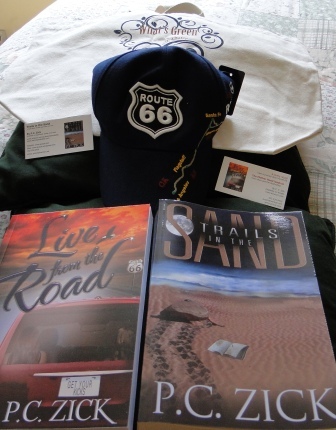 This entry was posted in Books by P. C. Zick, Ramblings of a Writer, Route 66, Trails in the Sand and tagged blog, book tour, fiction, Live from the Road, novel, Route 66, Trails in the Sand. Bookmark the permalink.